Americans have a lot of questions about how food is raised, the impact on our health and the health of the planet. It seems there are more questions than answers. U.S. 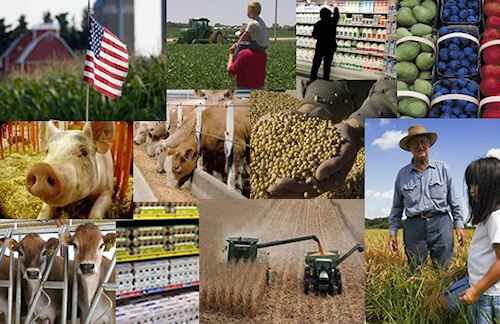 Farmers & Ranchers Alliance launched The Food Dialogues – a new effort to bring together different viewpoints on farming and ranching and the future of food to help solve problems and get some answers to some very important questions. Live from Fair Oaks Farm in Fair Oaks, Ind., Max Armstrong, Farm Progress Companies, moderated a panel of four in discussion, "The Voice of Farmers and Ranchers." The panel consisted of Malcolm DeKryger, vice president Belstra Milling Co.; Phil Bradshaw, Illinois soybean, corn and hog producer, Casie Conley, state president, Indiana FFA Organization, Gary Corbett, CEO of Fair Oaks Farms and Wendy Wintersteen, dean of the College of Agriculture, Iowa State University. Farmers and ranchers are answering the wrong questions. The bar has been raised. The need to get information out to consumers on how food is raised and grown is now in high demand. 93% of farmers and ranchers feel that consumers have an inaccurate perception of what modern agriculture is. When asked, only 2 in 5 consumers say they have enough information about the food they eat today. To help reach out to consumers, Gary Corbett, CEO of Fair Oaks Farms decided to open his farm to be more proactive and allow the public to see how they farm. "Our standards for our cows are very high, and must be sustainable," Corbett said. When it comes to medicine and agriculture, medicine is money on the farm. You need to be very careful and very judicious when using antibiotics or hormones. It's about food safety, humane care and smart business. "Science and tech is how we will go forward to feed the world," Wendy Wintersteen, dean of College of Ag, Iowa State University, said. "Science is always evolving." Farmers have to make decisions based upon what consumers will want in the future – long term. To listen to broadcast coverage of The Food Dialogues from Jason Vance, use the audio player on this page.